The Plett Trail: Slackpacking at its best! JY LEES NOU The Plett Trail: Slackpacking at its best! Join us on a hiking tour in Plettenberg Bay! This is slackpacking at its best over four days and four nights in the company of Venture Beyond’s expert guides. Group sizes are restricted to a maximum of 14 hikers – just bring your hiking gear, a walking stick, your camera, binoculars and a day pack. 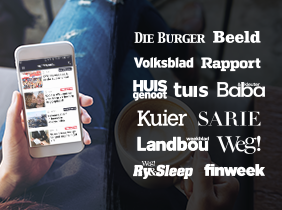 Everything else is covered; accommodation, three meals a day, entrance fees to the various parks and reserves as well as transport from one trail to the next. We also offer airport collections to and from Plett Airport and George Airport to make your whole experience hassle-free! There are two accommodation options – you can stay in some of Plett’s finest lodges (3 & 4 star graded) or you can camp Plett style – in our fully kitted out dome tents that come complete with stretcher, mattresses, white bed linen and bath towels. Our camp sites are in the Diepwalle section of the Knysna Forest and in Natures Valley. Both campsites provide excellent ablutions with hot running water for showers. Today you’ll tackle the 12km Keurbooms to Nature’s Valley hike which begins at the picnic site at Keurbooms beach. The first part of the walk is along the beautiful coast line up to Forest Hall where you will enjoy a picnic lunch before continuing after lunch through coastal Fynbos and then going into forest as one nears Salt River. The hike ends at Nature’s Valley. Dinner is around the campfire at Nature’s Valley. 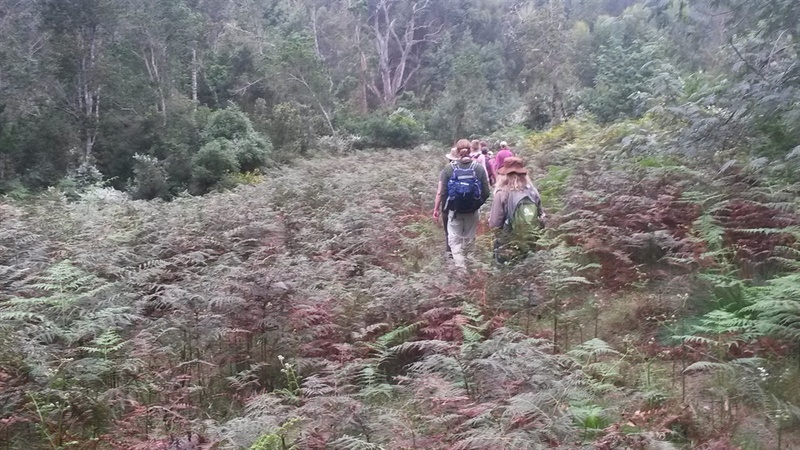 Today’s two to three hour hike is truly spectacular and one not to be missed: an 8km trail – the Kalanderpad Trail features beautiful indigenous forest and fynbos with magnificent vistas across the entire valley, the Tsitsikamma mountains and the sea. The trail transects the deep forest in the valley where there is an abundance of massive Outeniqua Yellowwood trees, Giant Strelitzia’s and an abundance of beautiful ferns. 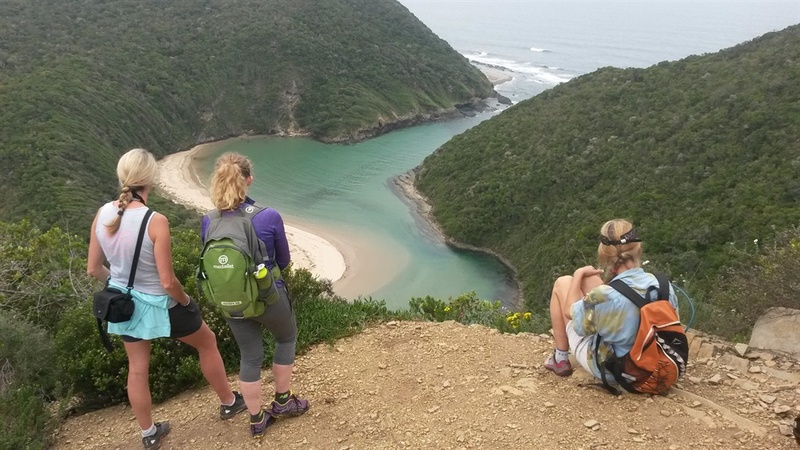 We’ve kept the best for last and today we hike the beautiful Robberg Peninsula. Set in a Marine Protected Area, you are likely to see dolphins and or hump back whales on the north homeward route, seals and even great white sharks. Pelagic bird species are plentiful and in abundance. Both options offer the option to go horse riding and canoeing on the last day but these activities are not included in the Hike cost.